Leave a Comment on Want To Get Rid Of​ Tension Headaches Once And For All? As we all know, headaches are a seriously tricky business. Determining what headache type you have is step one, then step two is treatment, and that’s what we are going to discuss today for tension-type headaches. 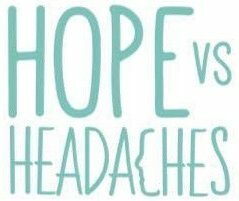 In my personal experience after breaking free from migraines and headaches, the conventional medicine approach only addresses the physical symptoms of tension type-headaches, not the root cause, and as with any illness, how are you going to treat the problem unless you find out why it is happening? So that’s what we are going to do today. Grab a pen and paper and let’s get started. Step 1 – Where Is This Coming From? The dictionary’s definition of tension is ‘mental or emotional strain’. That being said, now we have to look at where this is coming from. Where in your life do you feel this strain? Is it at work, in your relationship or from your family? Do you feel as if you never have enough hours in the day, do you feel worthless and not good enough or do you live in a state of anxiety always fearing the worst possible outcome in life? Take some time to journal and find what could be causing you this tension. A lot of the time this could also be subconscious tension, so delve into and analyse your beliefs and your thought patterns. You might be surprised at what comes up! Now you have established where your tension lies in your life, it’s time to make some changes. Make a list of all the things that are currently causing you tension. It could be anything such as negative self-talk, a friend that doesn’t support you, always having a belief that there aren’t enough hours in the day or the fact you put too much pressure on yourself to be ‘perfect’. No matter what it is, you can change it. It might mean saying goodbye to a certain negative friendship, setting some boundaries that allow you to not feel overwhelmed, making your self-care time non-negotiable or choosing to not get involved in family drama. Whatever it is, let it go because it does not serve you or your health. What’s the opposite of tension? Relaxation of course. So naturally the more relaxation techniques you incorporate into your daily life the less chance you have of suffering from a headache in the first place. Prevention is better than the cure, right? So there we have it! This has worked wonderfully for me and I believe it can for you too. I would love to hear your thoughts on this and how you felt after doing the exercise. What came up for you and what changes could you make to reduce tension in your life?